Stained glass doors and windows add a special touch of warmth and beauty to any retirement home or assisted living facility. 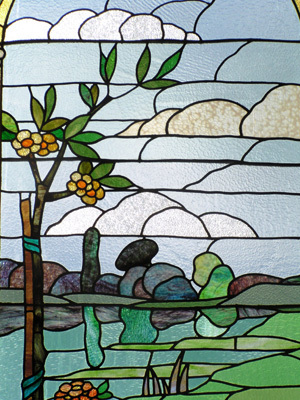 Retirement homes can greatly benefit from incorporating stained glass into their interior design. Stained glass windows serve the practical purpose of boosting the mood and creating a more relaxed and peaceful atmosphere, while also serving to enhance the overall aesthetic appeal of a room. Stained glass window inserts from Stained Glass Inc. can be customized to fit any shape, size, color or design. The beautiful display of rich, warm colors gently filtered by the sun can help relieve anxiety of residents and keep them feeling calm and at ease. These custom inserts would be perfectly suited for windows in common areas, doorways, or even windows in individual rooms. Contact the professionals at Stained Glass Inc. today for more information on how to incorporate stained glass art in your retirement home.